At Elite Beauty Clinic we really care about making your hair and body look and feel as good as possible. We stay one step ahead of the competition to give you what you deserve – beautiful cuts, stunning colours and flawless beauty. 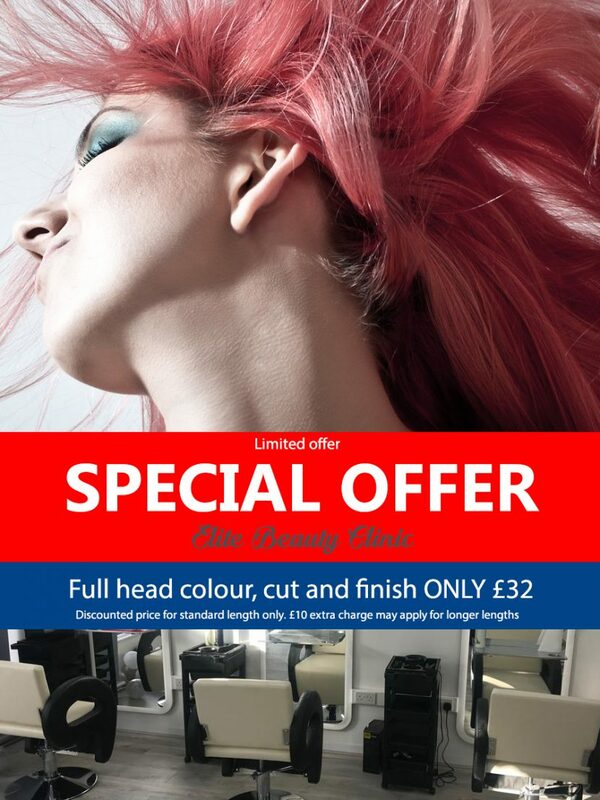 So if you’re looking for a hairdressing salon that puts you first and whom is truly passionate about helping you to look your very best, as well as on those extra special days, we could be just the ticket. After just one visit, we're convinced you'll leave our salon looking and feeling sensational. Whether you want an on-trend pastel hair colour, or a classic bob, our skilled stylists and colour technicians have the skill and knowledge to help you feel great!